I thought I’d write a bit about Harry Potter, because everyone else is today. Over in London the new stage production of Harry Potter and the Cursed Child officially premieres, although previews have been running since before I was there last month. I badly wanted to see the show, but tickets were long sold out before I had made my summer travel plans. Tomorrow the script version of the two plays (yes, two) is published, and it’s being treated as quite the event, bringing back the magic (sorry, got a better word for it?) of the midnight release parties that occurred ever few years during the first decade of this still-young century. I went to quite a few of those and they were a lot of fun. My own professional career as an educator and theatre director is bonded heavily to the Harry Potter series. The first book was published during my first year as an elementary school teacher, my students would beg me to read the books aloud in class, and summers doing theatre with Limelight was often paired with a release of a new book. I shared the love and enthusiasm of Harry and Hermione and Luna and Snape, Snape, Severus Snape with students, actors, fellow directors and teachers, and friends. It is probably the last great series of epic, youth-oriented stories that I will fall in love with, as I slide deeper into middle age. Well, save the Marvel Cinematic Universe that is currently knocking it out of the park with each and every film they release. But that is based in a childhood (and a lot of my adult years) spent reading a lot of Marvel comics. So a lot of articles floating around the internet today are asking questions about the Potter franchise and nostalgia and whether or not we need any “new” Harry Potter stories, and if this will simply tarnish the brand. I think it’s important to be aware of what today and tonight are not: this is not the eighth novel, and this is not written by J.K. Rowling. It is a two-part script written by playwright Jack Thorne. And so it is foolish to try and treat this as a case of nostalgic time travel to those moments from a decade or so ago. We had seven books (and eight films), and that was it. After you make that midnight purchase, remember that you are reading a play script, based on an idea by Jo Rowling, and that the experience is going to be a little different. You may not be able to hear the bell anymore, to reference another classic of youth literature. I think the real magic (sorry) is happening to those people watching a new Harry Potter story be told on stage, something that has never happened before. The reviews of Cursed Child have been overwhelmingly positive, and my Twitter feed has been filled with gushing fans walking out of the shows excited and amazed. It’s a shame we all can’t experience that together in one great shared moment like we did with the books, but that’s what makes this 2-part play special. They are trying something new, and that’s a wonderful thing. Harry and Ron and Ginny and Draco are now middle-aged, stressed and tired, and for the first time I will probably find myself identifying with them more than I did in the past. (I was always a Remus Lupin man, that kind, lonely teacher of Hogwarts.) But it will not be a case of going back to the well of nostalgia, and I reject this notion that writers are putting out there. This is not the Star Wars prequels, or even The Force Awakens. And it is certainly not the travesty and outright-lie of Go Set a Watchman. Harry Potter is not “back,” because he never went away. It’s only been five years since I saw the last film with my niece. Harry Potter marathons on cable still stop teens and twentysomethings in their tracks. Every Halloween my school is filled with boys and girls dressed as Harry and Hermione. My fourth graders spent an entire school year writing their own Harry Potter-esque play for a creative arts assignment. 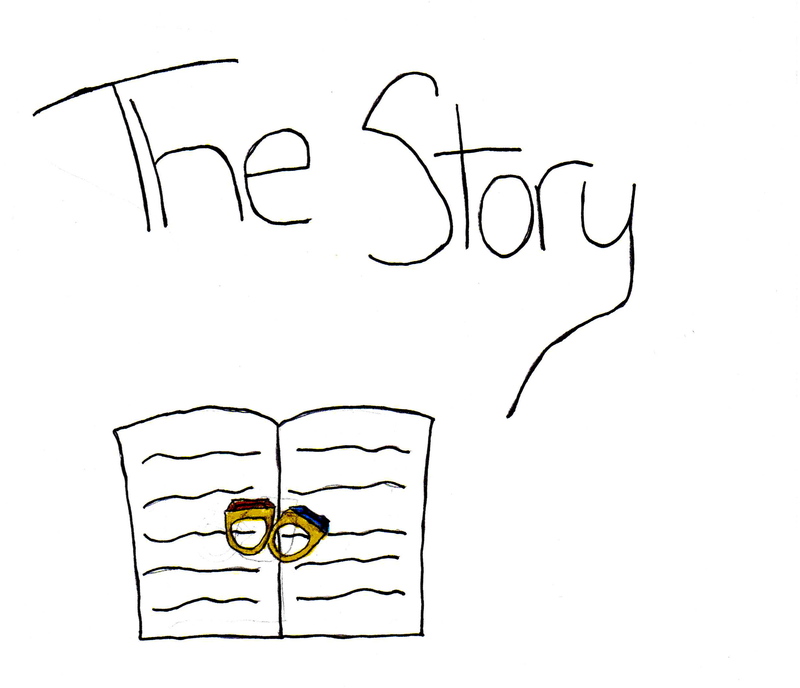 What J.K. Rowling created is a story for the ages. It is Star Wars for the generation or two that came after me. And yes, franchises aren’t allowed to end anymore, and so what? I’ll read Harry Potter and the Cursed Child mostly to find out “what happened next” after the epilogue in Deathly Hallows, knowing it’s not the full story, and you better believe I’m getting ready to head back to London to see the story the way it’s meant to be told. And I hope I get to share that experience with some of you. Kate Beaton’s Tiny Hermione showed up in my classroom a lot this year. Let’s just come straight to the point: I’m a teacher, and I get my summers off. And not everyone is as lucky as I am to have that much time off. This is not going to be a screed about how we teachers “deserve” that time off from all the extra hours we supposedly put in, nor will it be an itemized comparison of salaries, job benefits, or a whine about how we’ve become corporate America’s favorite whipping boy. I’m not interested in that argument right now, because it’s not an easy one to win on either side. We get our summers off. Must be nice. ‘Nuff said. 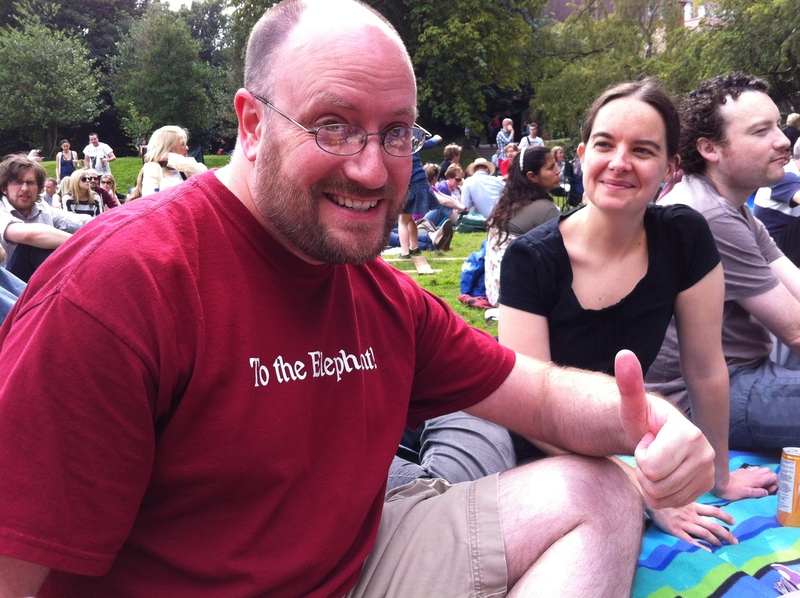 In my fifteen years of teaching, I’ve taken a total of one summer completely off from working: 2012, when I packed up everything and moved to Dublin for six months to study theatre at UCD. Every other summer was spent working very, very hard for my theatre company I started. That usually wrapped up in late July/early August, and then I’d take my summer cash and travel overseas for a couple of weeks before returning to start another school year. 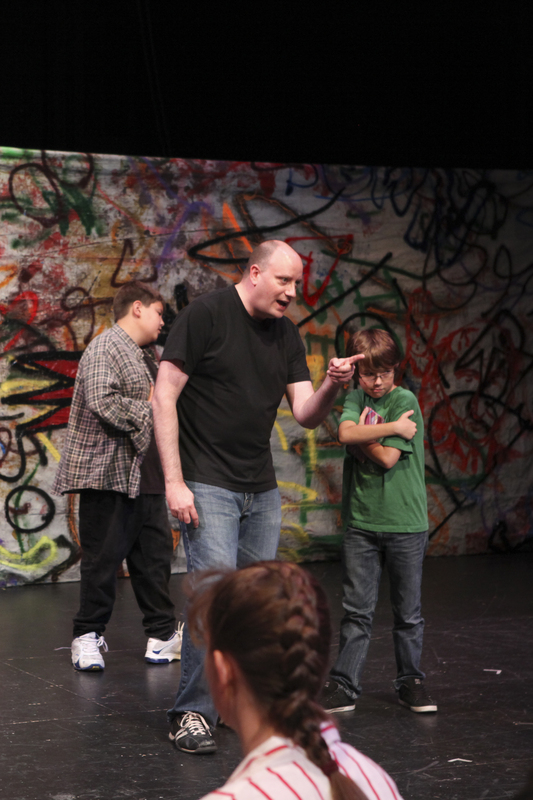 Directing “All These Will Be Worthless”, Limelight Summer 2010. Photo by Amy Weiland. Last summer I worked for Northwestern’s Center for Talent Development, a program for gifted youth offering classes in everything from advanced math and science courses to the playwriting course I taught. The program gears more towards the STEM realm of study, and so they’re not offering my theatre course this year. There is a possibility of me teaching a documentary film class, but I haven’t heard from them in over a month about this, so at this point I’m ready to start thinking of other plans. And those plans involve heading back to Dublin for a while. Things haven’t really been the same for me ever since I headed back, and I’m finding it harder and harder to get excited about The Future over here. Some in my profession are getting excited (or are at least preparing for) all of the Big Changes that are coming, but I am afraid that I am not one of them. Certainly not from a desire to keep doing everything as I was fifteen years ago; I’m not one of those teachers who fear change or progress. I guess I’m one of those educators that looks at it this way: we’re just swapping out one set of rules and instructions for another, and we teachers love our rules and instructions. I’ve always been one who takes a casual glance at the instructions, then works from my instincts the rest of the time. This works for some, but in a profession that tends to be populated by rule followers, it means I’m also one that exists on the margins of things, as my habits can be frustrating to some. I had my turn when I was the guy on all the committees, the one deemed worthy and important by the Ruling Gods, the last time we had our Big Changes come through. We made new rules and new instructions and those lasted a few years until the Old Gods went away and New Gods arrived. And now we’re dancing to a very familiar tune and it’s a song I never liked much the first time I heard it. I’m dreading all of the “here’s how you do it now” memorandums that are coming. But anyway. For now I am presented with a summer free from youth theatre, free from responsibilities, free from committees and summer school and recertification demands. I will make sure that I am ready for the Big Changes that are coming for next school year, but I am more interested in following my instincts and a desire to chase that side of me that craves wandering and creating. This is a rare gift to have, this time to myself, and I am aware of how lucky that makes me, in a time where so many are struggling. I’ve carved out a deeply-important second life over in Dublin, and so I’ll return there to catch up with old friends, explore old places and new ones, and always, always to search for some sort of guidance or inspiration for whatever I’m going to do with the rest of my life. You know, like always, with me. Bear with me, because all of these pictures are of ME, but its MOAR Halloween costumes, so if you’re into that type of thing, dig in! We had a lot of fun with Halloween during college. One year we all headed down to Missouri to visit the brother of one my roommates. 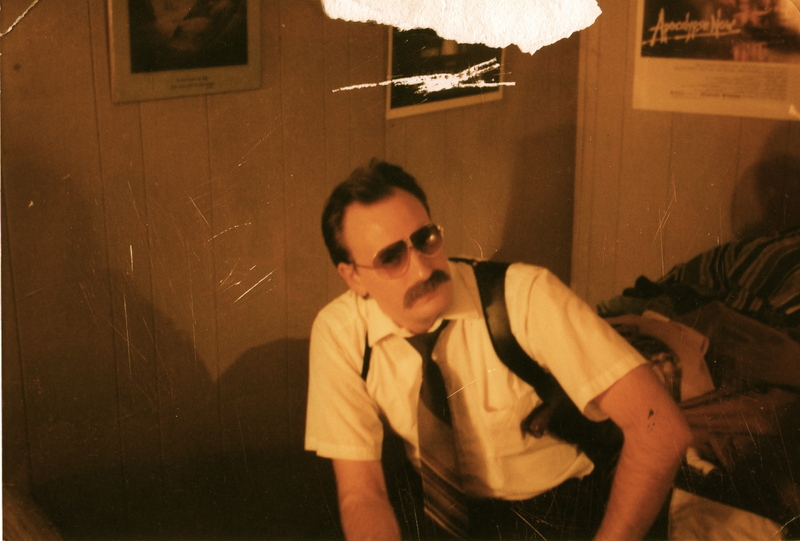 I had gotten a hold of some vintage clothes from my step-dad, so I went as a 1970s tough-as-nails cop. 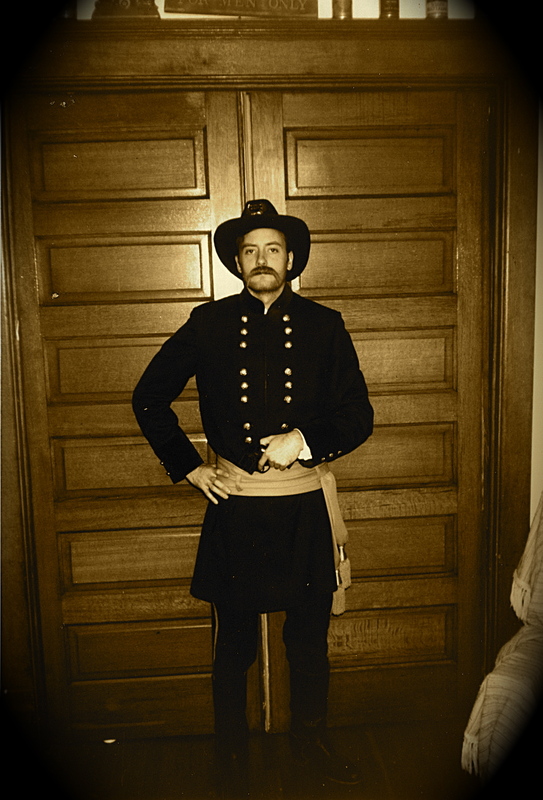 The year before I was working at the local movie theatre and we were premiering the film Gettysburg on Halloween. (So this was…20 years ago today. Dang.) 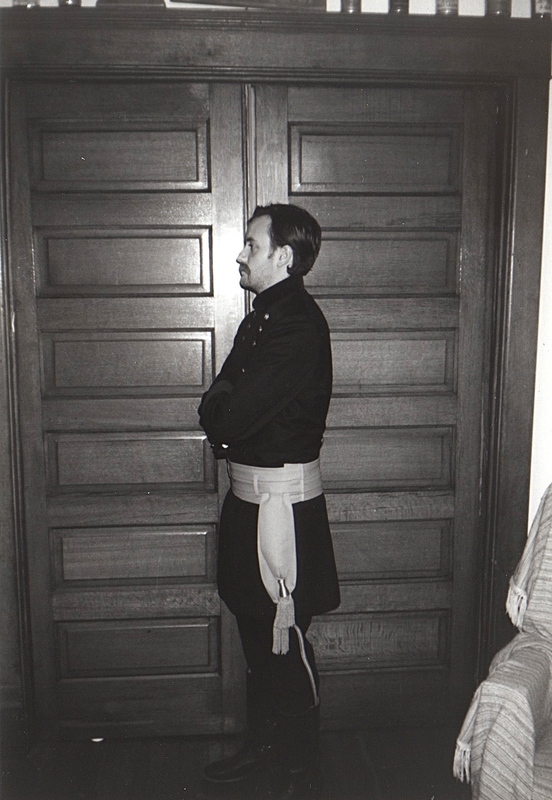 I spent way too much money on a Civil War general’s uniform from a nearby costume shop and wore it to work that night. I went, of course, as General Admission. 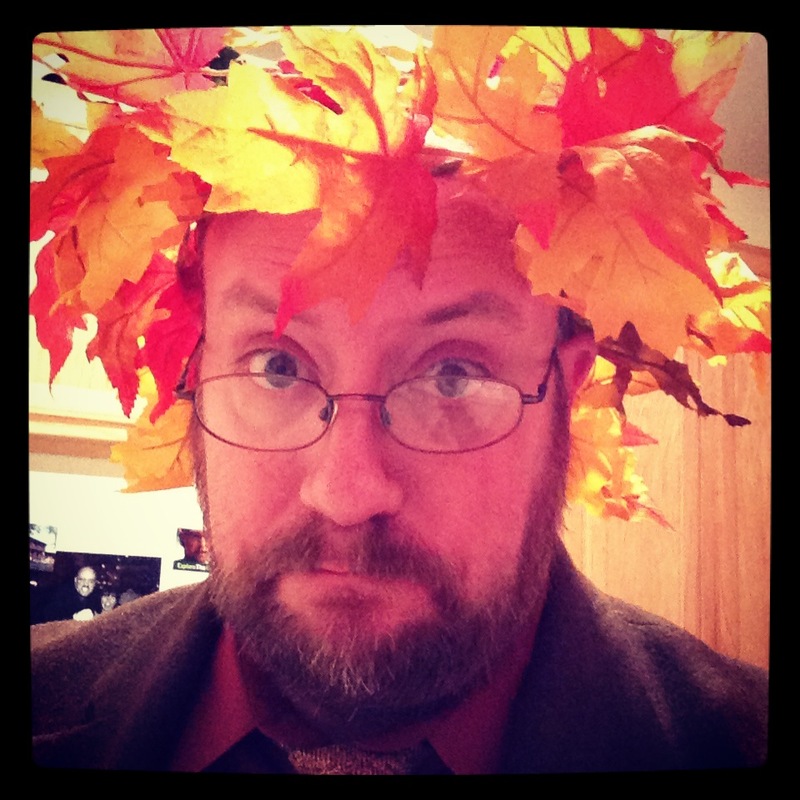 The garland wrapped around my head to make a nice autumnal crown of gold and yellow. I wanted it to have a deep, old magic feel to it, like some nature god out of the depths of time. But also nattily dressed in wool and tweed. Had I more time, I would have loved to have made my skin look a bit more bark-like. And of course the beard doesn’t flow nicely into the skin, but it didn’t help that I had another beard underneath that one. Here’s the whole team all together. I think we look pretty good, actually. I didn’t get to see many of the other grade level’s costumes, but we definitely had some Minions, but they did a good job with them, and I’m sure the little kids loved it. Now for you crafty folk out there, I thought I’d zoom in on a few details. 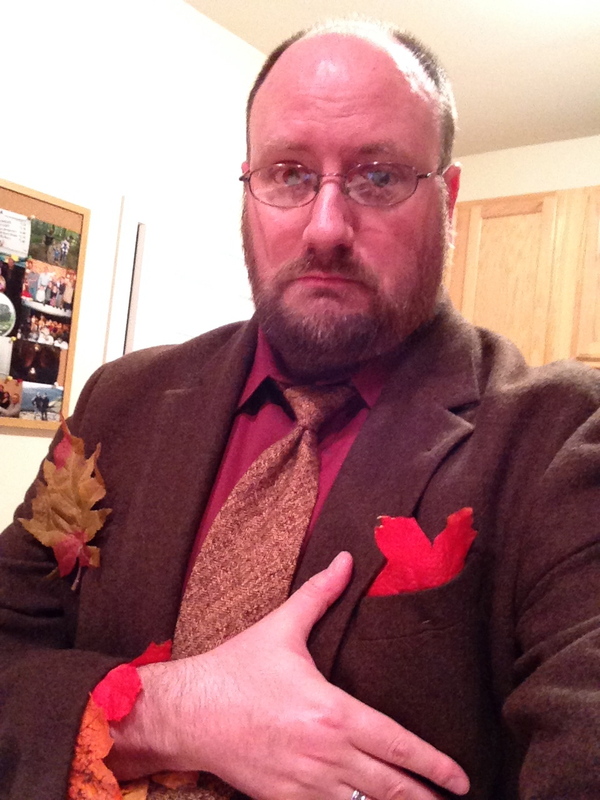 Note the Maple leaf pocket square, and the cuffs of the sleeves. 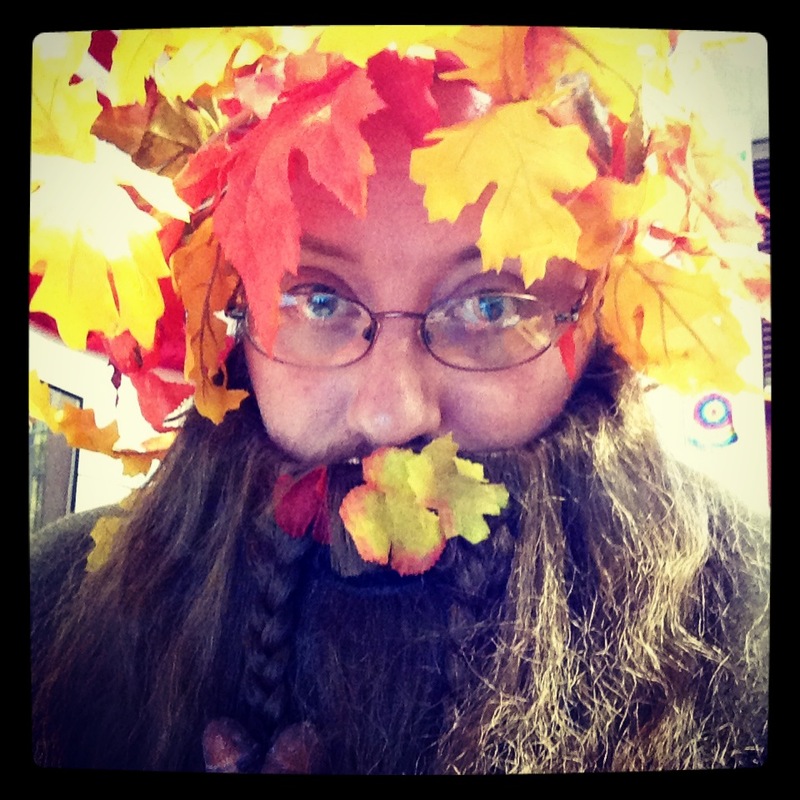 The beard had acorns and leaves nestled in it, but I didn’t want to get too crazy with it, since it will be recycled next week. The staff was a walking stick I had with more leaf garland twirled around it and tied down at the ends. I’ve got trick or treaters coming in small waves to the house, despite the rain that’s been falling since last night. It was roasting in my classroom all day, as the temperature got up into the mid-60s, but the heat kept running in the school. Don’t ask me why they can’t just turn it off. It seems to be one of those eternal mysteries, or perhaps revenge by the custodial team for having to clean up after all those holiday parties. I ditched the beard while answering the door. It’s a bit frightening to the young ones. And that should be it for tonight. Thanks for staring at my hairy mug for photo after photo. Happy Halloween everyone! Halloween is almost here, and my sister’s going nuts over on the social media sites. The woman apparently loves Halloween almost as much as I do! She and her family live out of state, so I don’t think I’ve ever seen my nieces and nephew in full costume, like…ever, I think? At least not on Halloween. My nephew will occasionally transform into Captain America at the drop of a hat, and one of my nieces likes to impersonate my mother from time to time. Work is always crazy this time of year, so putting together a good costume can be a real challenge. Today report cards went home, and I had to learn the new online system on my own, so naturally I forgot to enter their “Handwriting” grade. Honestly, I forgot we even bothered with that, since it’s been years since anyone has bothered teaching cursive where I work. And I’ve felt terrible all week again, with my third round of sore throat/hacking cough taking over my life. Went to see my doctor yesterday afternoon and he gave me a tougher antibiotic. Hopefully I can get rid of this before next week when we start parent-teacher conferences. But enough about my failings as an educator. Since no one wanted to hear me talk about Peter Brook yesterday, let’s check out some Classic Mr. Fauth Halloween costumes! 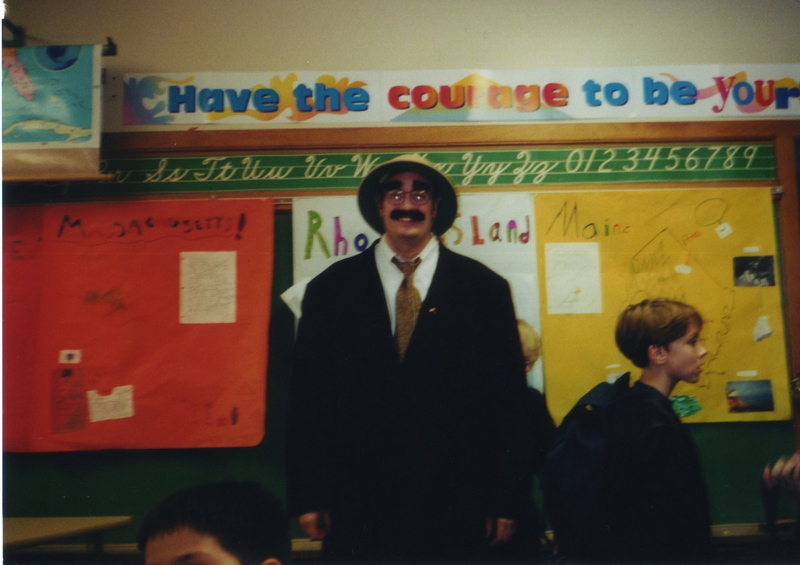 This is from my first year of teaching, Halloween 1998. 4th grade, East View Elementary. And I went as Groucho Marx in Animal Crackers. Hooray for Captain Spaulding! Can’t talk about that class without mentioning Liz’s fantastic Halloween costumes. Here she is as a basket of dirty laundry. That werewolf sure hates neglected laundry! 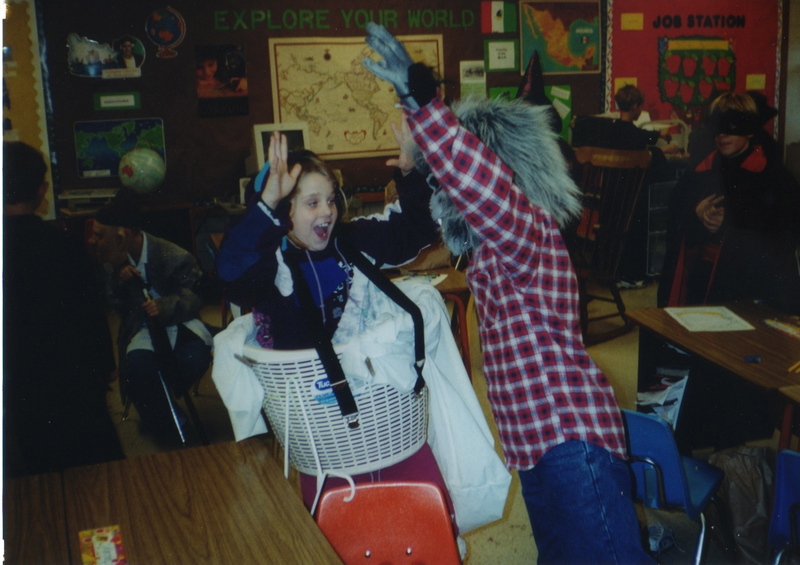 And here is my last East View costume from 2003, ten years ago to the day, practically. 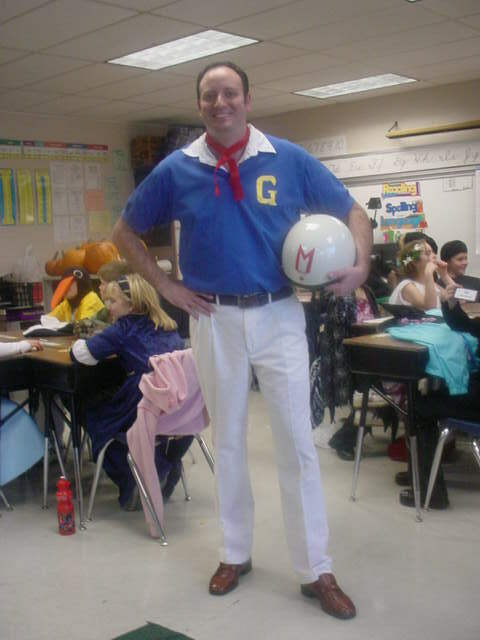 When I wore this hardly any of the kids knew who Speed Racer was. I don’t imagine the Wachowski sibling’s film did much to change that. The shoes I found were spot-on, but man, did they hurt my feet! Last year I wasn’t doing anything for Halloween, and the year before I had a just-okay, slapped-together Neil Gaiman costume, since I was reading The Graveyard Book for Read Aloud. 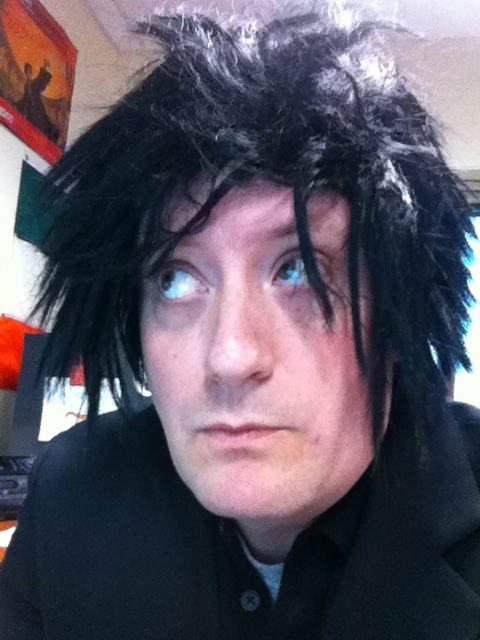 Goofy wig and a black suit. Not my best, not my worst. Here’s a sneak peak. 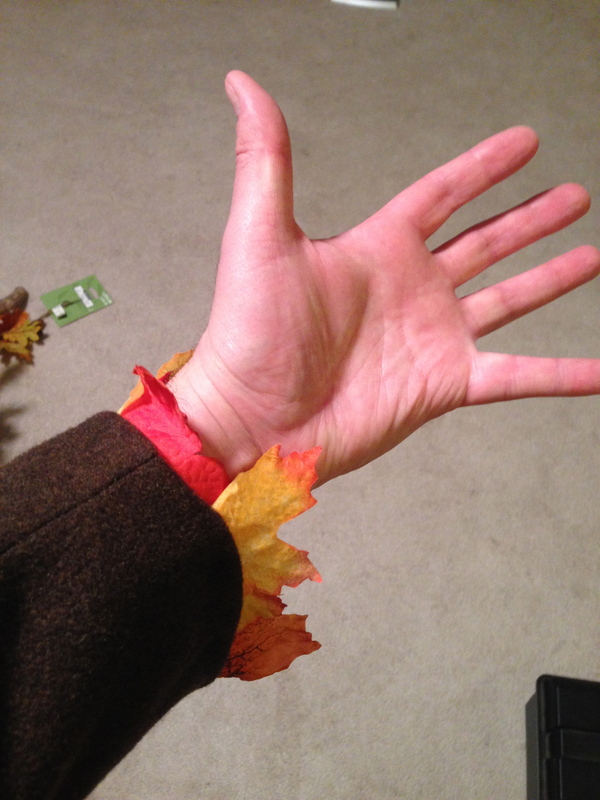 I got autumn. 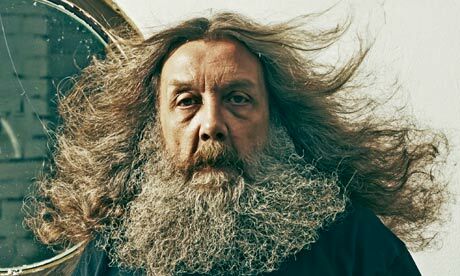 But I’m channeling it via Alan Moore. So either the kids will think I look cool, or terrifying. Once upon a time, I took a job that I thought I always wanted. Almost ten years ago I left my fifth grade classroom at East View and I became a “gifted” teacher. I would spend all day, every day, pulling small groups of very intelligent children out of their “regular” classrooms and I would challenge them with higher concepts and more rigorous assignments. I was assigned two schools, two subjects, three grade levels each: Math and Reading, third, fourth, and fifth grade. And I ended up hating it. I only saw the kids an hour, maybe two a week. I was off by myself in a small room with no windows, in two different schools. There was a weird attitude that came with the job, a sort of “Oh, well you’re gifted, so I’m sure I don’t need to tell you anything.” That very American kind of disdain for the intellectual set. The assumption that just because I taught “the smart kids” meant that I thought I was intellectually superior to everyone else around me. It was a difficult three years of my life, partly because I had a lot of other stuff going on in my life, and partly because the job just didn’t wind up being what I had hoped it could be. It felt like a Band-Aid type of class, something to appease the parents of gifted children that really wanted something deep and different. My teaching job with Northwestern’s summer gifted program this summer showed me what it could be like, when I had a bunch of junior high kids devouring Hamlet and The Cherry Orchard in a matter of days. But I’m getting off-point. What I really want to talk about is a group of students that became some of the most important people in the world to me. In early September of 2005 I had recently returned from a disappointing trip to Ireland (although, ironically, that’s the summer I met The Dubliners, now also some of the most important people in my life), bought a house, and was starting Year Two in the gifted job. (We tend to call it A.T., for Academically Talented, but to be honest I hate both names.) I like to sum up the start of that year with this story: One day I headed into work, walked into my classroom and discovered that it’s been turned over to the School Picture People. The principal never bothered to tell me. So I took a sick day and went home to unpack. I had just bought a house a few days earlier and things were a little scattered in my life. Sometime around then I met a group of five third graders and my life was never quite the same again. Right away I knew this group was special. They loved talking about stories, and had a good head for the classic tales of Luke Skywalker and Rocky Balboa. They were officially assigned to AT Reading and AT Math. Two hours a week. That was it. Before long, though, we decided to add a third course that wasn’t on the “official” AT curriculum. They gave up their lunch and recess and we met for a weekly, unofficial AT Writing class for the next two years. We focused on that type of story Joseph Campbell referred to as “The Hero’s Journey”, and we learned about The Call to Adventure, The Ordeal, and The Reward. I gave examples of the best kind of storytelling, the deus ex machina, and I threw out the assigned reading curriculum to delve into Cornelia Funke’s Inkheart. That time we spent together became the purest example of what can happen when you’re left alone, you throw out the rulebook, and you let the kids help decide what they’re going to learn. During one of our final sessions together we took a few photos and shot some film, some of which you can see in a video I made last year. I try to keep it quiet, but it’s a good summation of my life of travel and teaching. I can’t even remember why we decided to take the photo* above. I do remember our last day together, reading “Instructions” by Neil Gaiman, having some tears, and understanding that there was a lot of love in the room. 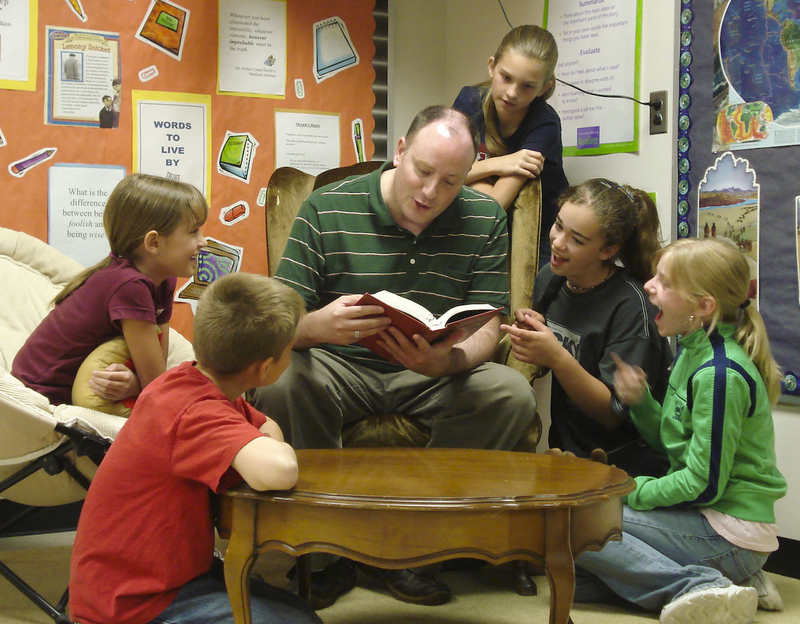 I was going to head back to teaching fifth grade, so I could have one school and one group of students. It was a rough, rough farewell, since we could have spent one more year together in that room. Despite the traumatic goodbye, all five of them ended up joining my theatre company at one point or another over the next couple of years, so it wasn’t really goodbye. Although, as I look at that picture of us, it’s been a long time since I’ve seen Morgan, and Cammy moved away to Ohio years ago. Attrition happens, and it’s down to Sam, Tyler, and Sydney these days. 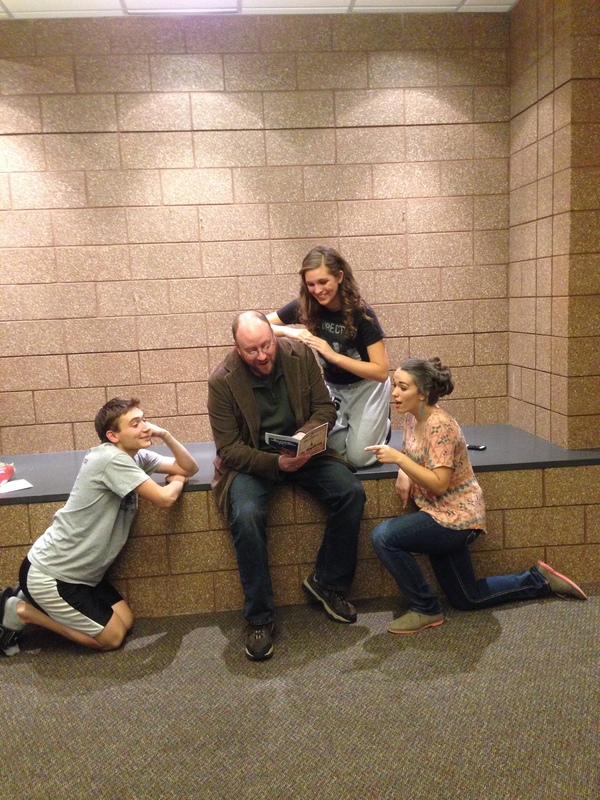 So for the next several years we did plays together, or separate, and I vowed to Sam that I wouldn’t leave her twice. And then I went and did just that and left Limelight four years after I quit being her A.T. teacher. I knew I was heading to Dublin soon, and had to start making my farewells. 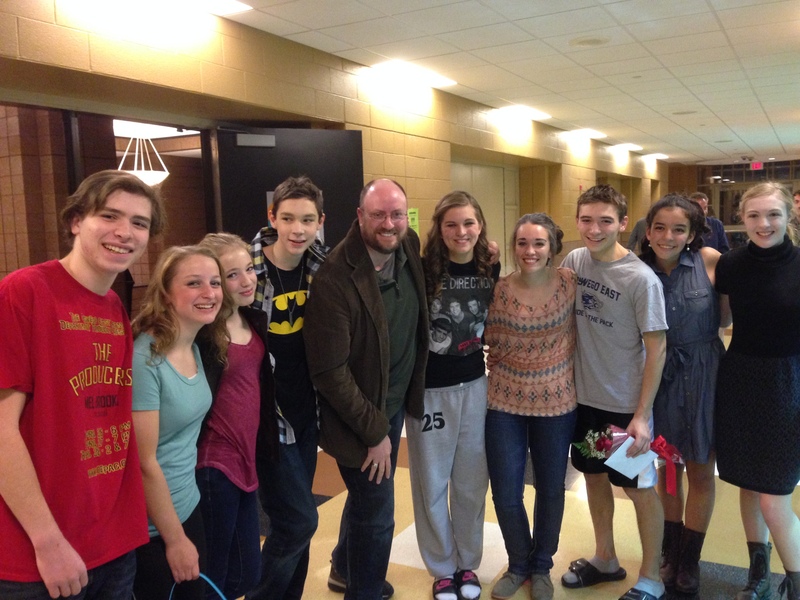 After Hamlet at OEHS. Sam played Ophelia after starring as Olivia in my final Limelight production of Twelfth Night, summer 2011. 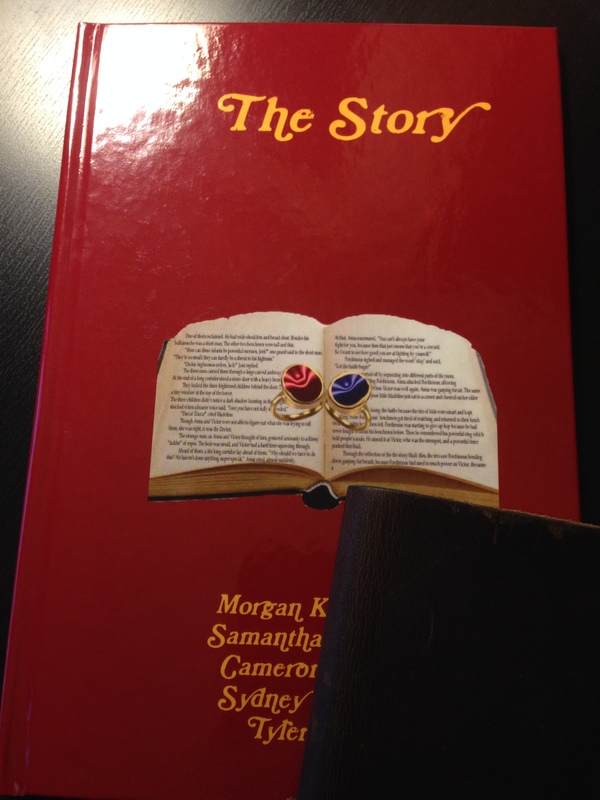 It had been five years, but they took the time to take the story they had worked on, collectively, for two years in our unofficial writing class, and had it professionally bound. I took it with me to Dublin, and it sat proudly next to my copies of Chekhov, Shakespeare, and Friel. And so now here we are in the fall of 2013. 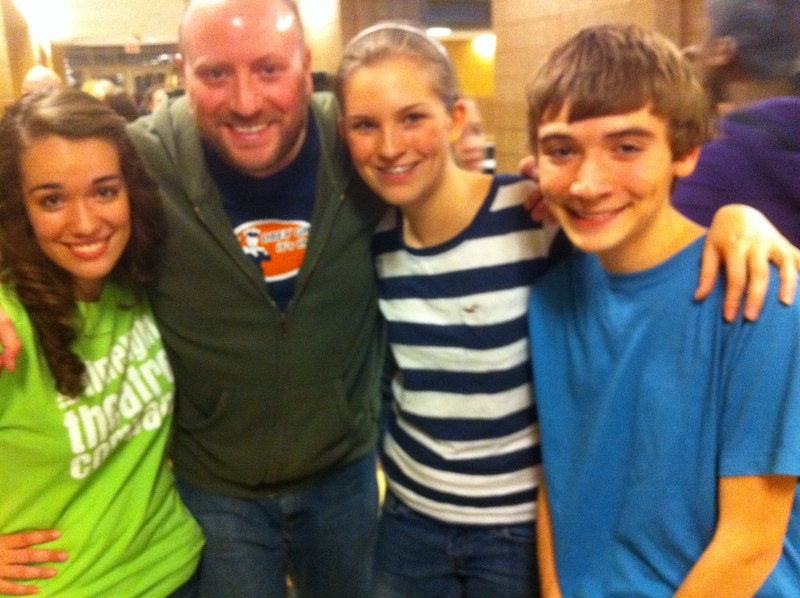 They’re juniors in high school, writing their own musicals, reading Jane Eyre, and obsessing about One Direction. Tonight we reunited and hugged and laughed and we were joined by so many others, Limelighters and Grande Park Grizzlies and Hermia and Helena and Oberon and all these kids I’ve known from so many different places. We were all there. Together again. I was called Life Coach, and Wizard, whatever that means. Sydney showed me the sketch of the tattoo she wants to give: “Deus ex machina” across the top of her foot. So, so awkward in this photo, trying to crouch to match their height. An impromptu recreation. Cammy and Morgan are missed. *As an appendix: If, for some reason, I die before I have the chance to weigh in on my own funeral, I would like this photo of the six of us to sum up my years as an educator. It doesn’t say everything, and certainly doesn’t feature the hundreds and hundreds of kids I’ve known through teaching and directing, but it encapsulates enough of what I was trying to say as a teacher. So print a big copy or display it on my tombstone or digital urn or whatever crazy stuff will be available when I shuffle off the ole mortal coil. I woke up before the alarm. Laid in bed circulating through this and that in my head until I was told by national public radio that it was time to actually get moving. Drank black coffee in the silence of a Saturday morning, flipped through the news articles on my iPad, made some scrambled eggs. Turned the burner down low to let them stay warm while I buttered an English muffin, still doing the math in my head. 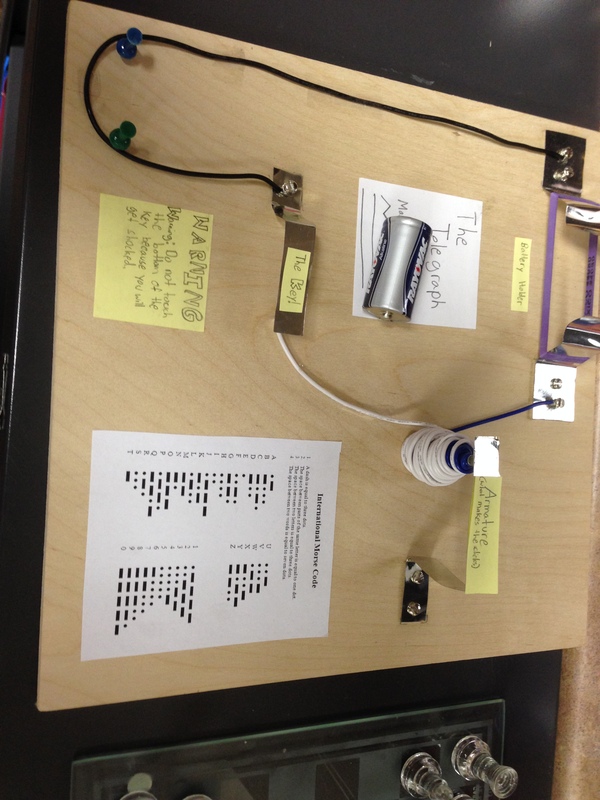 Three hours to enter grades, another two (probably) to figure out the new electronic comments system. Hand-written report cards replaced by a computerized system, to save time, but when it’s the first time with no explanation you need to block out the right amount of time to teach yourself the new format. Got excited for a moment when I read that Daylight Savings Time ended tomorrow, but then I realized I was on an Irish website. I could really use an extra hour of sleep tomorrow. Cleaned myself up and dressed up for Aunt Carolyn’s 90th birthday party. Her husband was the late great Uncle Fred, whom you might remember from another post from last year. I don’t get a chance to see this part of the family very often, and I thankfully was able to turn off the workworkwork thoughts that kept rushing through my head while I drove to Naperville for lunch. Caught up with Johnny and Ed and Phil and we had lively conversation about herpes viruses and Delta Airlines and Frank McGuinness and property management. 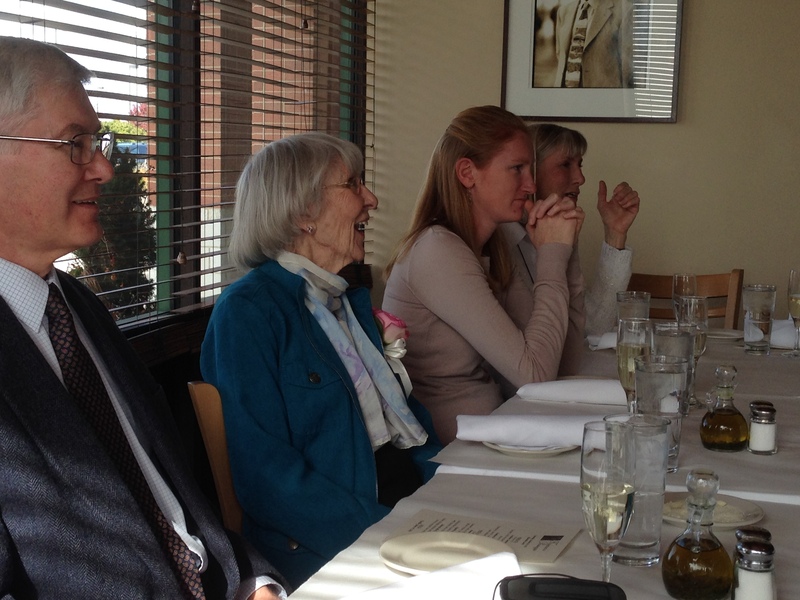 Towards the end I chatted with my folks about Sunday plans to celebrate Mom’s voice and it all came flooding back, and I did that heightened-quick-speech thing I do when I get really stressed. Didn’t know how to fit in getting grades done, plan for next week, clean the house, go see the show at East tonight, buy Mom a meaningful present and have her over for a nice home-cooked meal by her son. We were going to see each other on Monday as well (her actual birthday), and they were swamped with yard work, so we canceled Sunday’s plans. Something’s gotta give. Zoomed up to the old address to retrieve an Amazon order sent wrongly to my old house, then back to the classroom to get those grades entered. (I could do it from home but my Apple keyboard doesn’t had a keypad for quick data entry.) Barely lasted two hours before a splitting headache forced me home and back under the covers. Tried to read a few pages about the old Viking gods but had to close my eyes and rest up for the show at 7:00. Tick-tock, tick-tock. If you’re looking for simple proof that I was stressed and distracted, here it is: I walk downstairs into a dark kitchen and notice a pale blue flame peeking out from under a frying pan. Remember the scrambled eggs from breakfast? Yeah. I forgot to turn off the burner. In the car, “Here’s Where The Story Ends” by The Sundays comes on. Song’s almost 24 years old, and I never hear it on the radio, but I still love it, even though I hear more and more of “Cemetry Gates” when I listen to those old Sundays albums. It’s enough to lighten my mood, though, and my hand relaxes a bit on the steering wheel as I head east on Wolf’s Crossing for the second time today. 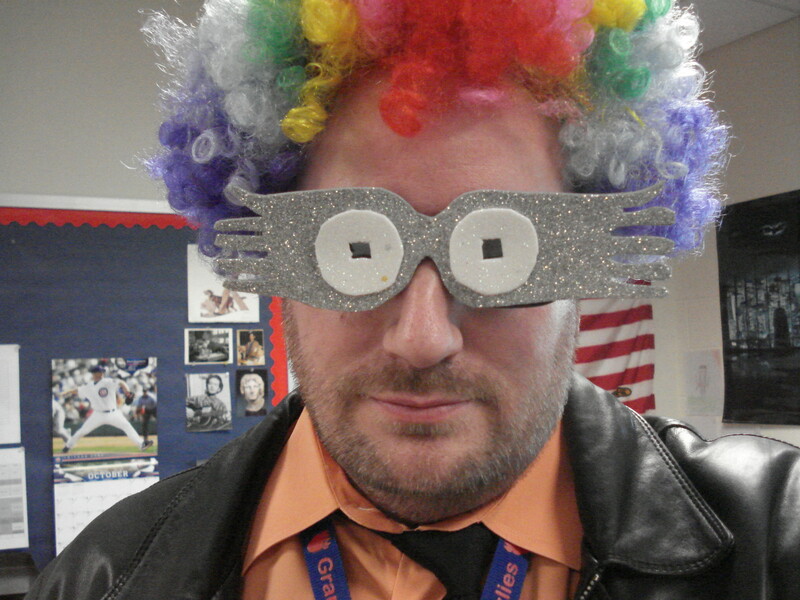 Heavy-eyed and hungry, I wandered into Oswego East High for an evening of 18th century theatrical comedy. I’ll tell that story tomorrow. I started off the day wowing my students with my amazing ability to type without looking at either the keyboard or the screen. Then I told a story about an ancient device called a typewriter, before getting them psyched up to practice their not-so-great typing skills. All those important assessments that are coming our way are going to be typed on a computer, so they have to get cracking now if they want to say everything they want to say in the prescribed time limit. Walked ’em down to the computer lab only to be turned away. My Favorite Fundraiser had taken over without telling anyone. So it was back upstairs…and I told a quick story instead and then we started Math. Copier was down so I didn’t have the stuff ready I wanted, so we had an all-class chess lesson instead. (I’m further along in the curriculum than I need to be, so we could afford the Friday Fun Day.) Robbie got the rare chance to play Mr. Fauth in chess, but I had to cut my game short in order to talk to a student about motivation and being-in-the-world. ‘Nuff said on that one. Three boys volunteered to stay in during lunch and we sorted the huge bin of chess pieces. 15 years’ worth of chess sets have gotten all mingled together, so we did the yearly sort ‘n bag. I was very happy to see one student in particular really engaged with what was going on in the class, joking with the other guys, and generally happy to be there. It wasn’t quite that way back in August, so he’s come a long way. Then, during recess, while playing football he tripped over his own feet, smashed right into the side of the school, and (most likely) broke his arm. Everyone stayed cool, and he was the veritable “trouper” and dealt with the pain like a man, until we could get him into the office. His dad rushed right over and took him to the hospital. I called later to check up on him, but all I heard was that he was heading in for x-rays. I was down to the last 15 pages of my read-aloud book (which is the BEST part of the job, by the way), and Meggie had just read out The Shadow. J (the student with the busted arm) often moves his seat up close to me so he can listen properly, without distraction. The kids had earned a double session of Read Aloud today (and it’s Friday, so they can draw! ), so I was going to finish the book. Instead, when we got back from recess, I told the kids we’d wait until Monday so J wouldn’t have to miss the ending of the book. Despite all of THAT, today was a pretty good day, actually. Kids were in a really good mood, had some time to have a little fun and be creative*, and got to leave without any homework over the weekend. It’s after 9:00 on a Friday night and I’ve been to Naperville and back twice tonight, amidst laundry and dinner and trying to get the house picked up. Having the folks over for Mom’s birthday on Sunday. Grades are due first thing Monday morning and I’ve barely entered anything into the computer, a system that I’m learning for the first time this year. AND I just figured out that my heater is turning itself up to 70 degrees at odd times, even though I reset it the other day. So that’s Saturday, apparently. Time for a relaxing beverage and a bit of a read. And then to bed and then to bed! *I like to feature some of their artwork on here, and one of the unique things this class likes to do is create “cards” that get passed around the room. There’s the Fox Card in honor of this obsession, two Mr. Fauth cards, one of which is designated as The One That Someone Threw In The Garbage. So far I’ve created the Huzzah! 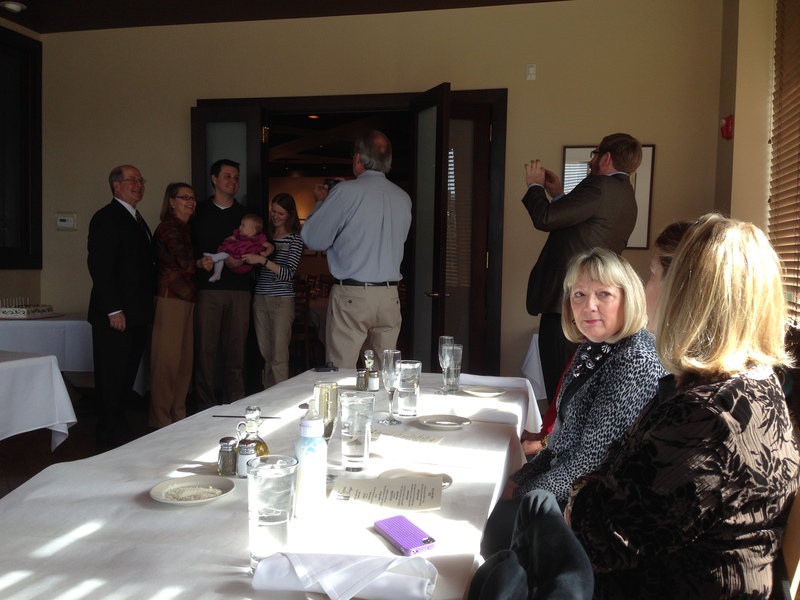 card, which means when you get it, you have to yell “Huzzah!” before passing it on to the next person. (Duh.) 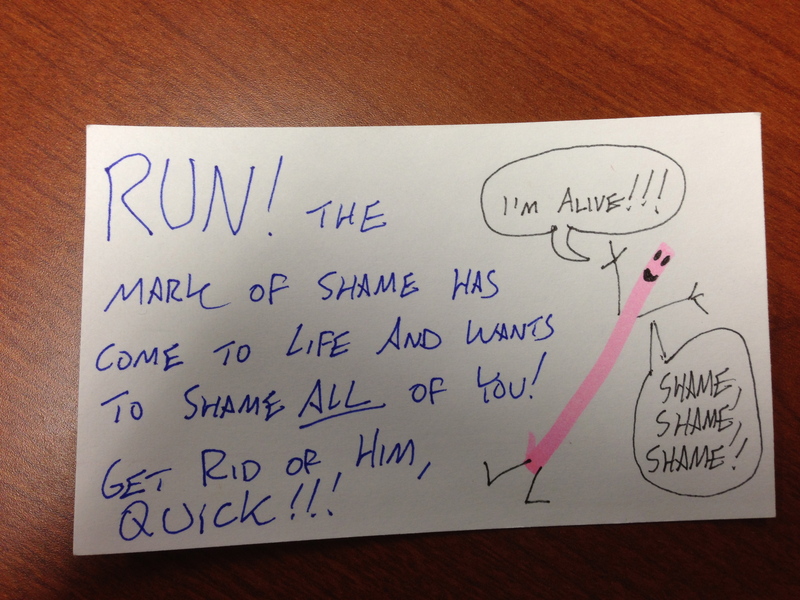 Today I created the Mark of Shame card, where the perennial mock-shame punishment I give kids has become sentient and is traveling from desk to desk, inflicting his own personal brand of classroom shaming onto the unsuspecting students. Seriously, we do actually get work done in my class. For real. Meet the new boss/Same as the old boss. Those old chestnuts rattle around in my head a lot when I think about the state of things at my workplace. We’ve gone through a period of enormous change over the past year or so, a lot of which I’m still getting used to. From what I hear, last year was the year that everyone freaked out about the lack of direction, when the old bosses left and the new ones were yet to be hired. All policies were put under review, so it became a free-for-all. Everyone just did what they wanted. Some stayed “on model” to the old ways, some experimented, some freaked out. I started the year trying to stick with what I knew, but I told parents that they should expect changes. And it looks like they’re on their way. When I was first hired, it was the expectation that fifth graders should have at least 45 minutes of homework per night. Now the new bosses are talking about an end to homework. I can’t critique that, because I’ve never been a fan of it, really. Grades used to be about doing whatever it took to make sure that child succeeded as best as they could, even if it meant modifying the assessments to best fit their needs. Now, it’s all about giving a truer (and harsher) portrait of how they’re doing. I’m happy to hear about some of these changes, but of course I’ve got something sticking in my craw about all of it. I come out of most staff meetings just frustrated and angry, and I think it’s usually down to that feeling of utter powerlessness. I think I’m doing something the right way, and that it’s working for my students, and then suddenly I’m made to feel like I’ve been doing it all wrong. We’re told by the powers that be that It Must Be Done This Way. And we do it like that for a few years. And then New Powers That Be come along, and declaim, “No, That Old Way Was Wrong. THIS Is The Way It Now Must Be Done.” And then they talk about data and spreadsheets and assessment goals and everything becomes so cold and clinical and at that point I tune out and have no idea what I’m supposed to do anymore. And I know that I don’t speak for everyone, and I know that I can be a prickly pear when it comes to all this. I just don’t think I’m designed for the type of teaching that seems to be coming. I’m too loosey-goosey about being “on model” all the time and haven’t warmed to some of the latest strategies and policies like others have. I tell too many stories and let them play chess more than they really should. 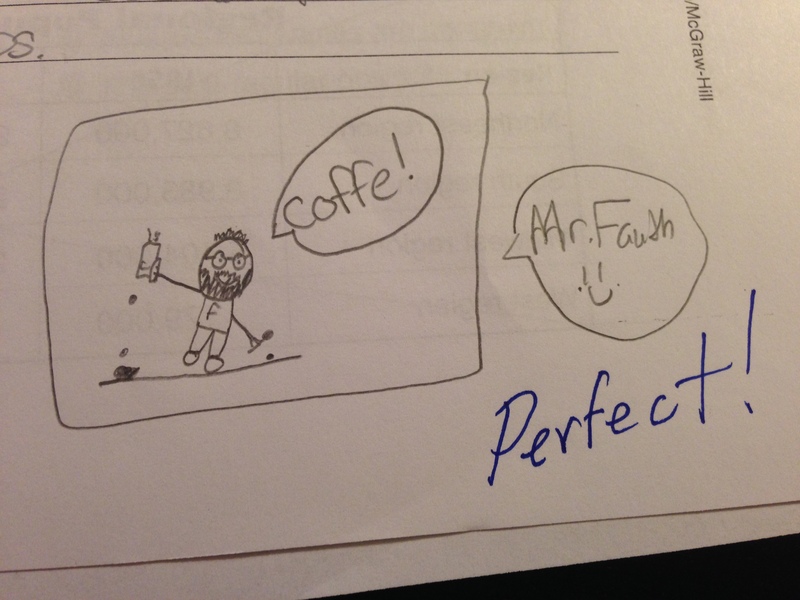 I take extra recesses on Friday and can’t be bothered to spend more than five minutes looking at “data,” but by golly I’ll spend an hour drawing cartoons on their six-page Science test just to make it a little more fun. I know that change is good and that there are a lot of excellent new teachers out there doing amazing things; I’ve got one right next door to me. But man, I’m quickly becoming that old guy that didn’t keep up with the latest changes, and pretty soon the new teachers will sigh and shake their heads and wonder why I don’t teach Writing like them. But my year off kind of solidified certain things in me, which is a lot different than atrophy. There is the simple relationship that a good teacher develops with his students, one based on mutual respect and trust and yes, even love. I’m a conductor and they are my orchestra, and if we’re lucky, we can create a gorgeous symphony from time to time. And the data might show me that I have a student who is struggling in Reading, and now needs to get pulled out of class for several hours per week, but ask that same kid to talk about how he spent last Saturday taking apart an engine with his dad. He probably has more practical knowledge and life skills than any of the kids scoring in the 99th percentile in my class. Kid’ll probably invent a space car or something. It’s 8:30 PM on a Monday. 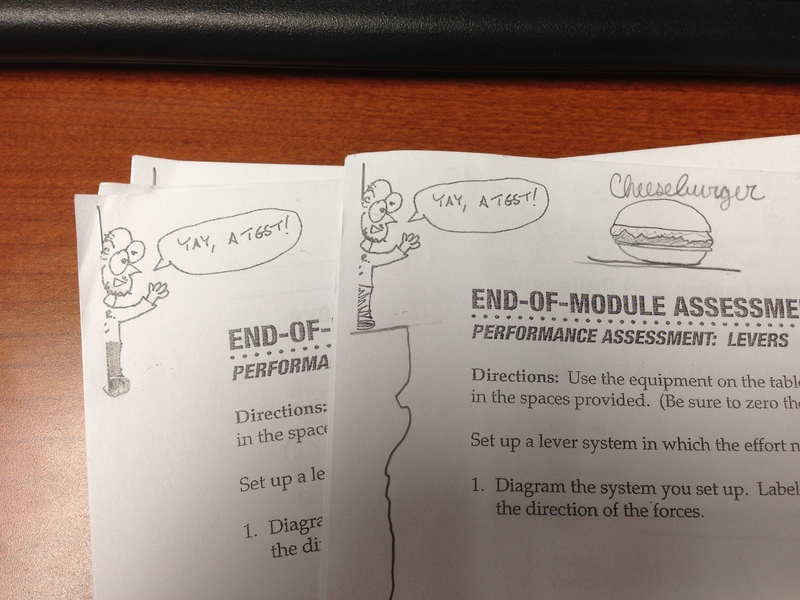 I graded a Science test while preparing dinner, which was oddly fancy for the beginning of the week. Steak, potatoes, and a Caesar salad. This was a rare Monday where I wasn’t completely exhausted due to lack of sleep. I actually got a (somewhat) decent night’s rest. So I’m riding the wave as long as I can. Here’s a picture of that working telegraph machine I mentioned last week. I took the batteries out, but it really works! 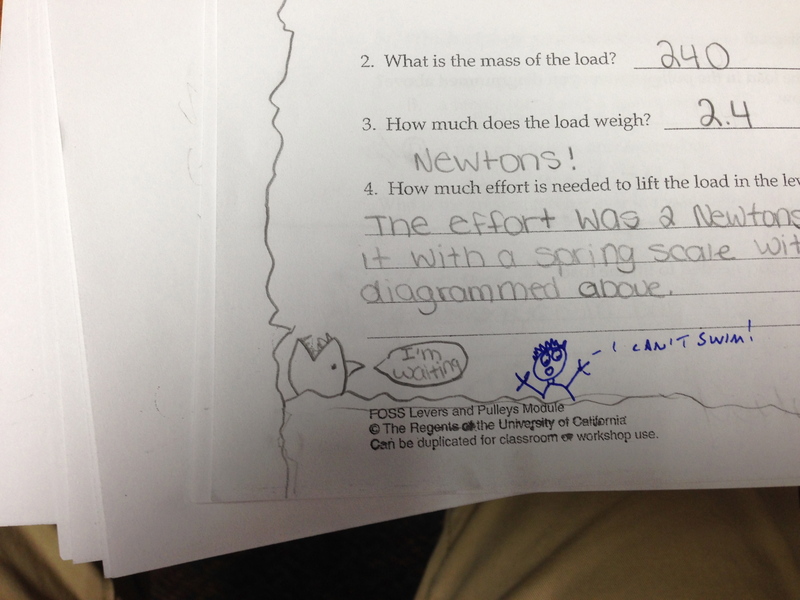 It’s darn impressive for a fifth grader, but this student is a bit out of the ordinary. Kinda brilliant, he is. We have to welcome a new blogger to the fold. 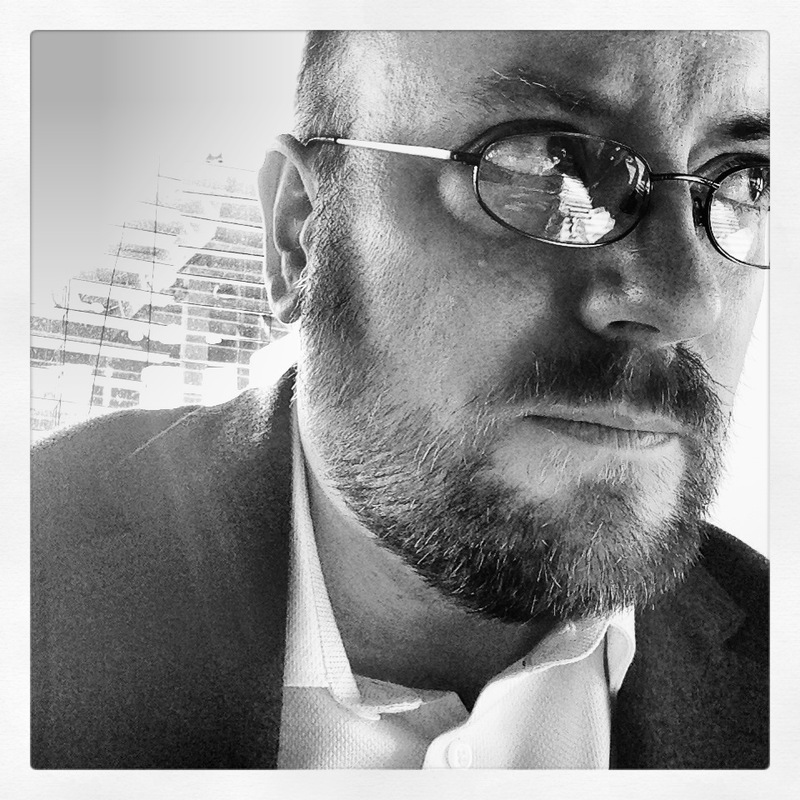 One of my old Limelighters is giving this a shot, so give a big welcome to Ben “Pinky” Colwell and see what he’s up to over at BenPinkes. He earned the name Pinky from his debut show in 2008: Harriet the Spy. I subsequently cast him in a small role in Heroes and Villains that same summer, and also named the character Pinky. 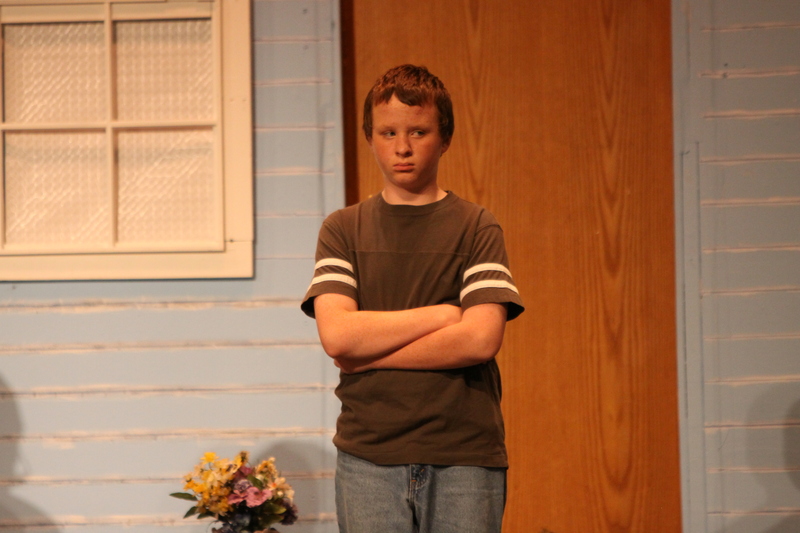 Here he is a year later playing Howie in Ramona Quimby, one of my all-time favorite shows to do. Loved working with the new group of young actors that were coming up through Limelight’s ranks, and of course the Beverly Cleary stories hold a special spot in my heart. All I did was wear a rainbow wig. I stole the Luna Lovegood specs for the photo. Lazy, I know. This is perhaps my finest moment, though. 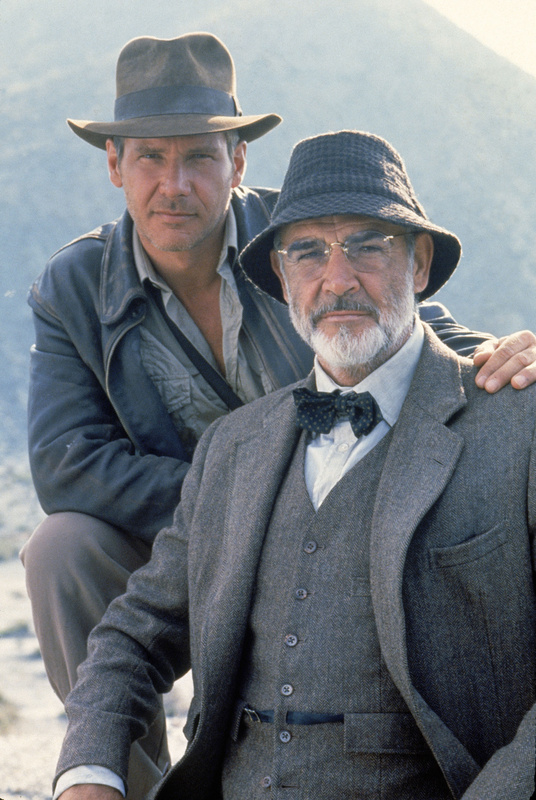 One year I had a kid who adored the Indiana Jones films. Every day he’d arrive at school and we’d trade quotes. “Asps. Very dangerous. You go first.” “Again, we see there is nothing you can possess which I can’t take away.” And so forth. 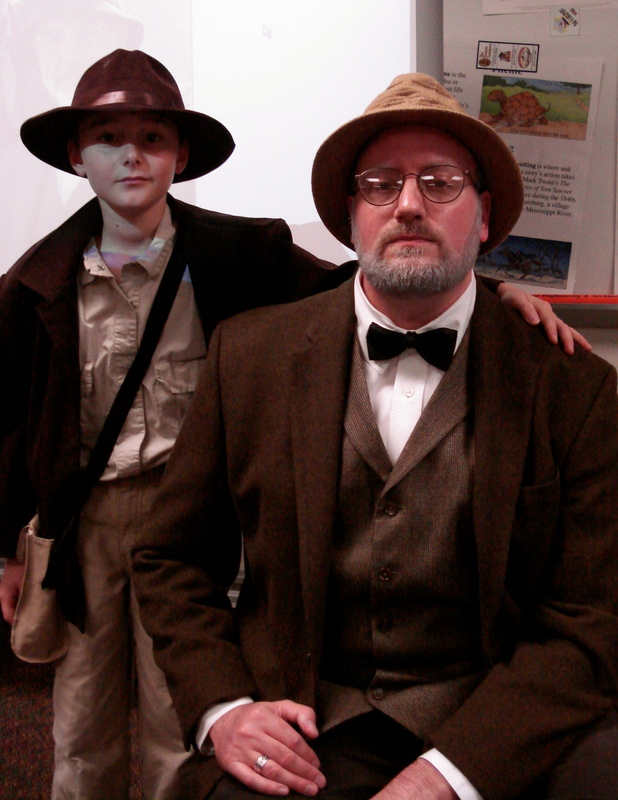 So that year we teamed up and went as the Professors Jones. 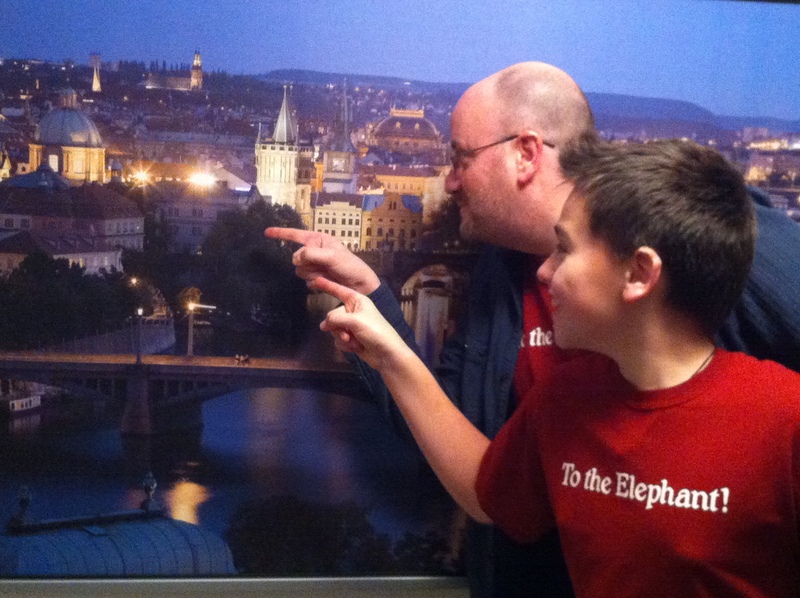 We tried our best to recreate this photo from the third film. 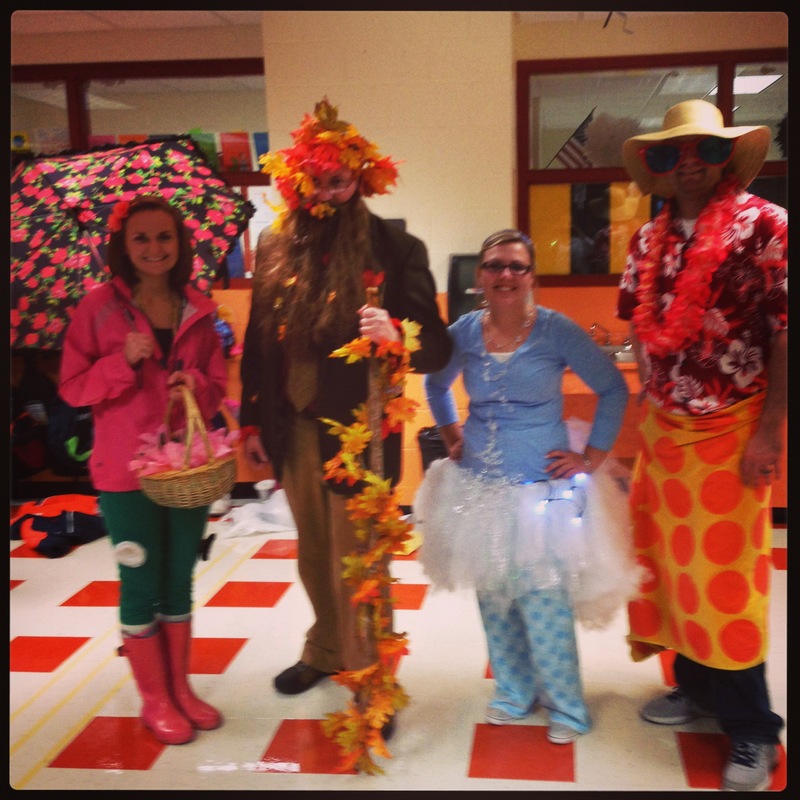 All in all, I’d say we did a pretty good job with our costumes.